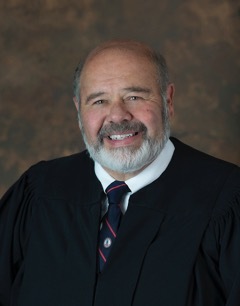 Judge Hupp (Ret.) served 26 years on the bench and retired from the Circuit Court in 2018. He is a native of Shenandoah County, and previously practiced law in Woodstock, Virginia. He served as the Commonwealth’s Attorney for Shenandoah County for two terms. In 1992 he was appointed to the Circuit Court, which includes the Counties of Clarke, Frederick, Shenandoah, Warren, Page and Rockingham, and the Cities of Winchester and Harrisonburg. He also was appointed by the Chief Justice as a member of the Executive Committee of the Judicial Conference. Judge Hupp was also appointed to hear annexation cases statewide on three-judge panels. He is available for mediations and arbitrations, and as a Judge pro tempore, in Northern Virginia and the Shenandoah Valley. Family law (divorce and custody), annexation, eminent domain, personal injury and civil litigation.